This beautiful 10-acre park is a crown jewel of the Marina. Jutting out into the main channel, it offers one of the best vista points, and is perfect for a morning jog or leisurely picnic or BBQ. It’s also a great place to just sit back and watch the sunset. Burton W. Chace Park offers a multi-purpose room picnic tables, barbecues, pergolas, picnic shelters, outdoor programs, great harbor viewing areas, guest docks, and is host to numerous year-round events. The park is wheelchair and stroller accessible. The multi-purpose community room, park grounds, pergolas, and picnic shelters with barbecues are available for meetings or social gatherings such as wedding receptions, birthday parties, baby showers, etc. The Community Room at Chace Park has one large meeting room with a full kitchen. The patios surrounding the Community Room offer a choice of sun or shade. There are benches on the patios to enjoy the outdoors during meeting breaks. Reservations for rental spaces in the park are taken no earlier than 90 days prior to the event date, but no later than 15 days before the event date. All fees, proof of insurance and completed application forms are due 15 days before the event; otherwise a late processing fee of $100 per day will be applied. All reservations require an insurance certificate in the amount of $1 million general liability coverage and $2 million general aggregate coverage. 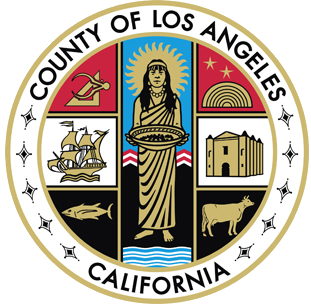 An Additional Insured Endorsement naming “County of Los Angeles” as an additional insured is also required. For the insurance requirements, you may go through a broker of your choice. For reservations and prices, please call (424) 526-7910 or download the reservation application. All reservations require a security deposit. Some reservations may require additional permits. 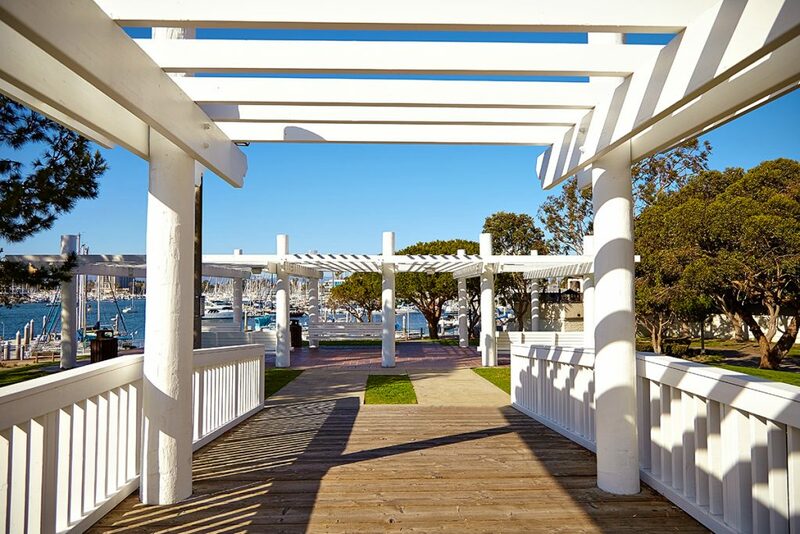 Imagine your wedding outdoors overlooking Marina del Rey. The park grounds of Burton W. Chace Park offer several locations (North Pergola, South Pergola, or the Bridge) for a memorable wedding. The park grounds can also be rented for corporate picnics, weddings, and special events. There is room on the wide lawns for children to play. There are three picnic shelters (A, B, and C). Each shelter has 6 picnic tables and 6 barbecue grills and each shelter may seat up to 48 people. Reservations are only taken for Picnic Shelter “A”. The other picnic shelters (shelter “B” and “C”), including picnic tables in the park, are available on a first-come, first-serve basis with no table saving allowed. Stay overnight on our guest docks for up to seven nights (within a 30-day period). Visit Guest Docks for details on pricing, and policy & procedures. You can launch your boat at the trailerable Boat Launch Ramp. Yvonne B. Burke Park opened in 1985 and is located along Admiralty Way. 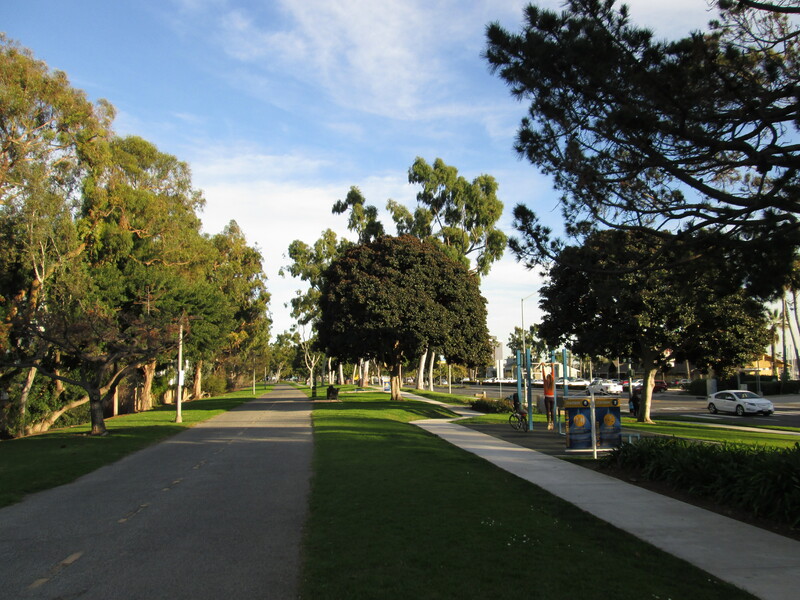 The 8-acre linear park begins across from the Lloyd Taber-Marina del Rey County Library and extends to Parking Lot 7. Formerly known as Admiralty Park, it was renamed in April 2009 to honor Los Angeles County Supervisor Yvonne B. Burke on her retirement after 16 years of service representing the Second District of the County of Los Angeles. In October 2017, the Department of Beaches and Harbors began construction on the Yvonne B. Burke Park Improvements Project. The project, completed in May 2018, resulted in a refurbished par course fitness circuit, featuring new exercise equipment and surfacing, and providing users with the opportunity to complete a full-body workout. Each station has a sign that describes an exercise, and the park is lit for night workouts. Choose one station or do the entire course—it’s your decision. New site furnishings, including seating benches, drinking fountains, pet stations, and park monument sign, invite patrons to enjoy the Marina’s spectacular views and provide a warm welcome to users of all ages as well as their canine companions. Improvements to the park’s walkways and parking lot make the park more accessible, and upgraded native and drought tolerant landscaping make the park more sustainable. The Marvin Braude Bike Trail also runs through the park. This bike path extends from Pacific Palisades to Torrance, with beautiful views of the ocean and Marina del Rey. There are many restaurants and shops along the path to stop and take in the view. Aubrey E. Austin Jr. Park has a paved walkway out to the ocean end of the north jetty that is a favorite of joggers and fishermen. Beachgoers can walk along the jetty to reach the Marina peninsula. There is also a quiet spot (shown above) overlooking the Marina lagoon. Both the jetty walkway and the overlook for the Marina lagoon are stroller and wheelchair-accessible. This park is a memorial for Harold L. Edgington, a dedicated Harbor Patrol officer who gave his life in the line of duty.